Las Vegas Exhibit Rentals is not tied to our location or our ability to provide flexible rental designs. Our framing system allows our rental exhibits to be shaped in hundreds of ways. Use the images and booth sizes below as a starting point to gather ideas. Know that our frames can be configured to fit any size space. Once you've found a few designs that have the look you're going for, reach out to our customer advocate team on our contact us page. Our 10x10 displays can range drastically. Simple backdrops, to complex shapes and designs. Our Las Vegas location has trade show exhibits and rentals that can fit any size or budget. We have done some amazing 20x30 exhibit rentals over the last decade and it's one of our most exciting spaces. These large and extravagant displays tend to really impress at all different types of events. One of our most popular sizes, the 10x20 exhibit rental is a great choice for Las Vegas exhibiting. With a larger back wall and large format graphic potential, you can backlight it or deck it out with great branding and stem lighting. They're getting bigger... The 30x30 trade show booth rental almost always has custom pieces in it. All of our rentals are highly customizable and some aspects can be purchased if desired. 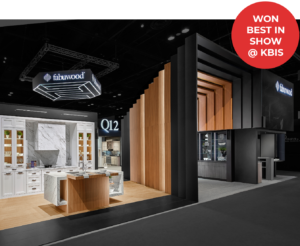 Check out our 30x30 exhibit design gallery using the link below. Our booth rentals at the size of 20x20 begin to really impress trade show attendees. There is a lot more flexibility in booth design and functionality. 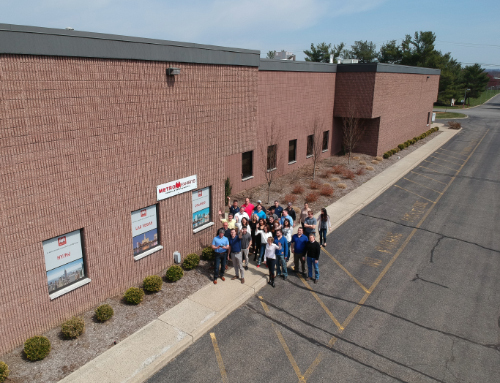 Check out our 20x20 rental gallery using the link below. From small pop-up banners to the largest and most impressive exhibit in show, we've done it all. 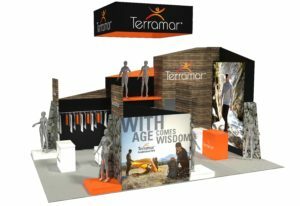 If you're searching for an exhibit, no matter the size, rental or custom, we have dozens of years of experience building trade show booths across the country. Our trade show exhibits rental team in Las Vegas can provide full event servicing to smaller designs and graphics. 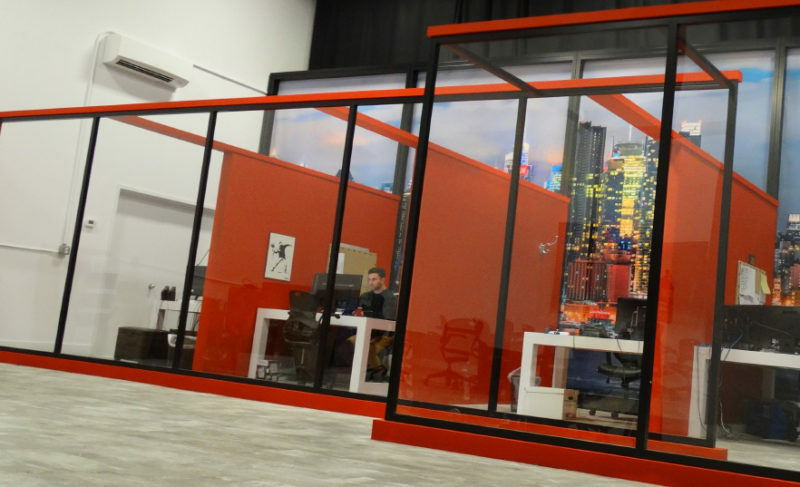 From trade show management to custom graphic design and booth builds, Las Vegas Exhibit Rentals can provide services for jobs of all sizes and has the very best in trade show display designs. 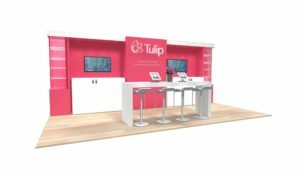 Trade show booth supplies such as furniture rentals, tv monitors, graphics, banners, overhanging displays, panels, backdrops, modular displays, portable displays and more can be provided. 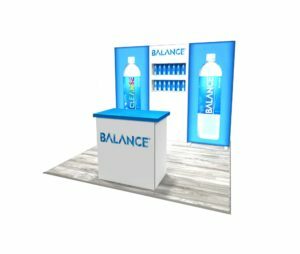 Contact us today for a free design rendering and pricing on your next trade show display rental and services. For custom trade show exhibits, please contact Metro Exhibits. We are a partner of Metro Exhibits, a national trade show exhibits provider with full event service capabilities. Please see Metro's website for more information on our custom purchase booth design options. Our location in Las Vegas gives us the ability to offer the best prices and services. Since we are located close to your next event venue, we offer lower shipping costs with a higher level of customer service and availability. We can provide any size space. 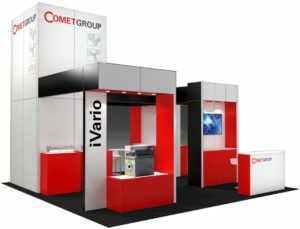 For example, 10x10, 10x20, 20x20, 20x30, 30x30, and as large as your trade show booth space desires. Stop settling for the pre-show madness of preparing your booth and fixing last minute aesthetic issues yourself. We have the option of on site trade show exhibit management for peace of mind and fast set up. 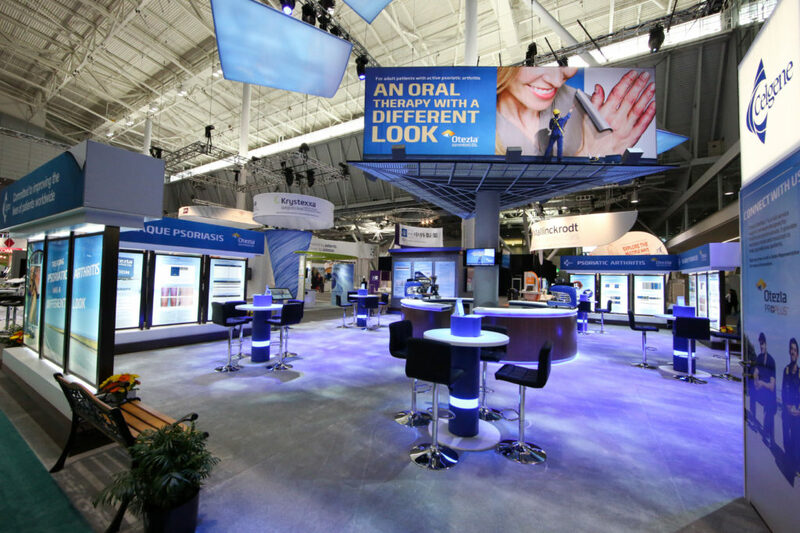 Make sure your trade show booths look as best as possible and are set up to meet your standards. Our Las Vegas trade show exhibit rentals team has the ability to provide custom trade show booth rentals that mold to fit your budget and creativity. 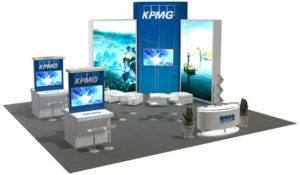 Contact us today for a free design rendering and pricing on your next trade show display rental and services. For custom trade show exhibits, please contact our parent company, Metro Exhibits- or check out our other rental locations: Los Angeles Exhibit Rentals, Orlando Exhibit Rentals, and NY Rental Exhibits. Give yourself some options before you make a decision. Our team of experienced professionals can help you build a design that's flexible in size, design, and budget.